Thank you to the Boiler Room, you guys have seen us through a disproportionate number of pre-meets. Cake, coffee, and environment are always welcoming, and you always seem prepared for us even when numbers are unexpectedly high. Among this month’s more entertaining pre-meet moments, losing Murray for half an hour as soon as Harley put the Binding of Isaac card game on the table, followed shortly by his amassing a frankly insulting amount of health in a Magic game. We also introduced new-ish member Richard to Love Letter, along with a few other games this month. What a wonderful way to “wrap up” the year, and the puns were no better on the day! There may have been some minor HDMI issues, because I did not bring mine, and many people were trying to hook up a Nintendo Switch to the projector. Turns out if we want to try that again we’ll need to fetch an extension cable too, the distance is too long to safely stretch from the projector and to the mains ports, and we need both. Ah well. Alfie will be playing a wood elf ranger, a bit cliche but he randomly rolled the class. Nicole is a high elf rogue. Her stats were low enough to start with that she could buy an extra level and a magic item, but not a good one. Jardel is a bard of The Ormud (a human nation), born to the winter caste. He will be playing a failed jester with a mallet that honks. Hannah rolled so well she had no choice in race or class, and is now a kenku cleric to goddess of the moon, Nuren’Ue. She has already acquired the nickname “Buff Bird” for being crazy strong. And Kim is a god-born halfling (aasimar) rogue. I owe her a magic item too, and I owe them all some extra information to help them get started in the campaign. Thanks to those of you who joined in the Super-Secret Santa, pretty sure everyone walked away pleased with what they got, although I have no idea about Julia who accidentally walked away empty-handed. Not to worry, it’s on its way to you, and thanks for the cornflake wreath too, it was delicious. And thank you Harley and Vinni both for the handmade additions to the Shropshire Dungeon Master accessories, the dice tray from Harley will be making a few future appearances at games, the coasters from Vinni I think will be staying home for the most part, that’s where they’ll see the most use. January folks! A lot of you (more than I thought actually) committed to some geeky pledges for the new year! I know that at least one person (not me) managed to stay true to theirs, and if you were at January’s event have a look at the cards that were pulled from the box. How did you do? I failed! Although I did have a very productive year either way, so… maybe I’ll get a comedy skit out next year? Along with a Pokenomicon, a book of item enchantments for 5e, and a whole bunch of other projects that are jamming up the proverbial pipeline. There may be some changes in format next year! Monty’s Tower have other plans in the works that may prove either a boon or a hindrance to us at GeekOut but they want us to keep coming along, so will work with us to keep our events every bit as fun as they are now, and I don’t know about you guys but I’ve certainly been enjoying myself. As it stands, the next event is booked for the 31st of January, a whopping six weeks away, and provisionally entitled “The Frozen North”. We hope to see you, all of you, more of you, there. And Merry Christmas or whatever. Cuz it… it’s NaNoWriMo… it’s November, we did… it’s… aheh, ahhh… good stuff. You’ll excuse me if I was glad of a quieter GeekOut this month, it’s been an exhausting few weeks, culminating in being unwillingly decorated for Hallowe’en last Friday. The bruising is almost faded, the blood is almost gone from my eye, but I’m still exhausted. Still, after a quiet start – just me and Cal for a couple of hours or so – I think we amounted to a little under twenty of us altogether, and a huge thanks to all of those who came, those who joined in the costume competition, and the two sentence horror story competition, and thanks to Nicole for demanding she run a game of Werewolf so that I’d sit and play a game for a short while. I had about half an hour or so to sit and get some work done before I was joined by Cal, not pictured are the efforts of the werewolf costume and the beard that could rival mine that will become more apparent later in the gallery. Not an awful lot to say here, other than the world was proverbially set to rights over coffee and raspberry milkshake before we moved on to a similarly empty Monty’s Tower. There was an adorable puppy. And you can see the photos, no guessing who won the competition for best costume, but considering where I found Cal in summer, I really should be more careful putting a costume competition on the docket. All assembled personages have since been checked for signs of metamorphosis, and argyrophobia, results have proven inconclusive. Serious cannot begin to thank Vinni for this one, a custom, fully branded GM screen made of black valchromat, sprayed and carved into shape, with plans to attach metal strips for the purpose of adding magnetised notes to the back some time after the Hallowe’en game at Whittington castle (for which one place remains if anyone is interested) where the screen will be making its glorious debut. Next event is on the 29th of November, NaNoGeKo… which is a terrible pun! And no, no novel writing will be required, but writing discussion is actively encouraged, and if people are in the mood for a mini-round table, I’m up for it if you are. It will be a quiz month, and I promise to try and tone down the difficulty, still got a lot of fine-tuning to do. I’ve always wondered what being on the other end of the coin is like; you know, actually sitting and enjoying a GeekOut Meetup, rather than running one. In the whole time that GeekOut Shrewsbury has been a thing, I’ve never been able to go up myself. It being on a Thursday means that I’d have to effectively take a day off and do over five hours of travel, or take two days off and do two lots of driving and have a place to stay. I also didn’t want it to be obvious, so managing to keep it secret for so long felt oh so good. 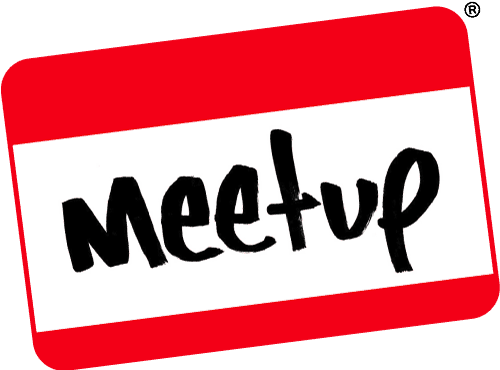 Finally, a Meetup title too long for Facebook to accommodate in full. August, that long awaited Shrewsbury meet, a whole six weeks have elapsed since last we gathered and the enthusiasm has not faded, nay it has grown. Although it’s notable that with the encroaching term-time, and so many of you retreating back to university our numbers have taken a small blow, so too will our growth from month-to-month subside for a while. Still, there is ever more to look forward to.